Last year, James Purdey & Sons celebrated their 200th Anniversary, and various events were held to mark the occasion, so I thought we should publish our own tribute to this extraordinary company which I have known for 50 of its 200 years! It is difficult to imagine a more ‘British’ company than James Purdey & Sons, although it is now owned, like so many famous British brands, by one of the world’s top two luxury goods businesses, namely the Compagnie Financiere Richemont Group, run by one of the world’s richest people, South African native Johann Rupert. Johann Rupert was reported to be worth US$7.3 billion as of November, 2014, $2 billion richer than a year before, largely due to a 50% increase in the share price of Swiss-based luxury goods outfit Richemont, which owns brands including Cartier, Van Cleef & Arpels, Jaeger LeCoutre and Montblanc. His fortune was also buoyed by stakes in investment holding companies Remgro and Reinet. So, he is certainly wealthy enough to afford his company’s own products, and I am informed that he has an impressive selection of Purdey guns which he uses to good effect. Acquiring prestigious gun makers seems to be a popular hobby amongst the super rich, and Purdey’s great rival, Holland & Holland, were bought by the French cosmetics group Chanel, in 1989. Chanel is in turn owned by Alain and Gerard Vertheimer, whose other assets include vineyards in Margaux and St Emilion, and a stable full of thoroughbred horses. Both Alain and Gerard are each valued by Forbes Magazine, as of November last year at US$9.6 billion, giving the family a combined wealth of some US$19.2 billion. So, it is a tribute to the reputation of Purdey’s and Holland & Holland, that such major groups should have acquired them, and are in the process of building them into international ’brands’ alongside all their other famous brands. It is a comforting thought that such traditional businesses can have an international appeal. Anyway, notwithstanding its foreign ownership, it is worth looking at Purdey’s distinguished history, and celebrating their Bicentenary, because their name is synonymous with bespoke guns of the very highest quality. 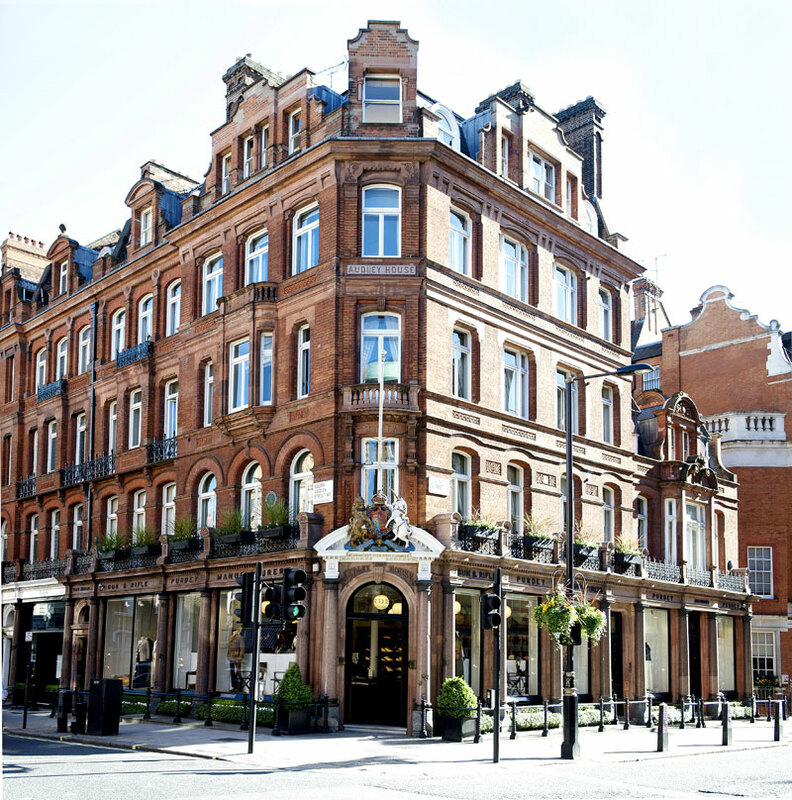 James Purdey & Sons first opened its doors at 4, Princes Street, near Leicester Square, London in 1814, and moved to its current home at Audley House, 57-58 South Audley Street, Mayfair, in 1882. This building, in the heart of Mayfair, was designed by architect William Lambert and completed by B.E. Nightingale, and it has played a significant part in British history. Not only do its exterior marble pillars bear shrapnel marks from a World War II air raid, it also played a role in the D-Day landings when Eisenhower’s deputy chief of staff, General Bedell-Smith, used the renowned Long Room for battle planning in 1942. Purdey has had a long, fruitful and ongoing association with the British Royal family, and in 1838, the year of her Coronation, Queen Victoria commissioned a pair of double-barreled pistols from Purdey, for presentation to the Imam of Muscat, and this was quite a common gesture at the time, with the King or Queen giving such exquisite gift which represented the superiority of hand-made British products. The Duke of York; The Duke of Cambridge; The Emperor of Russia; The Emperor of Germany; The King of Italy; The King of Spain; The King of Portugal; Archduke Franz Ferdinand of Austria; The King of Sweden; HRH The crown Prince of Hanover; The Queen of Spain; HRH the Duke of Chartres; HRH The King of Hellennes (Greece). Apart from crowned heads of state, Purdeys other famous customers have included Charles Darwin who ordered guns and supplies for the voyage of HMS Beagle in 1831 and Bing Crosby who had his gun engraved with song lyrics. The first Royal Warrant was granted to James Purdey & Sons in 1868 by HRH Prince of Wales later to become Edward VII and in the present day it holds three, HM The Queen, HRH The Duke of Edinburgh and HRH The Prince of Wales. In fact it was the Prince’s passion for the newly developed art of shooting driven game that resulted in an entourage of shooting fanatics, including the most famous shots of the day, all keen to entertain the future King. They competed with each other to orchestrate increasingly elaborate Shooting Parties to offer him the best shooting, and the best ‘après shoot’ entertainment. In 1977, I published a book entitled, ‘The Big Shots – Edwardian Shooting Parties’ written by the now highly successful investment manager, Jonathan Ruffer. This book documented the excesses of the Edwardian era, when ‘The Big Shots’ did anything and everything to prove that they were the best shots with the best shoots and the biggest bags, and nearly all of them used guns made by Purdey. Who were these Big Shots of the Edwardian era? HRH Prince of Wales; Sir Ralph Payne-Gallwey; Lord Ripon; Lord Walsingham; Sir Harry Stonor; Maharajah Duleep Singh; Lord Caernarvon; Lord Ashburton; The Earl of Leicester. Purdey also played their part during the Great War and the Second World War, they manufactured gun parts and other items of ordnance for the War Department. On a personal note, Athol Purdey’s sons, James and Thomas, both fought in France in the First World War. It is a miracle that they survived serious injury and joined the firm in 1920, later inheriting the company when their father retired in 1929. For 200 years Purdey’s has had an unbroken historical lineage with the company, the last Chairman was Richard Purdey, the great-great-great grandson of James Purdey, the Founder. However, a new Chairman was appointed in 2014 called James Horne, who, with his son, Christopher, founded the incredibly popular and successful online business called ‘Guns on Pegs’, which dragged game shooting into the 21st Century, and matches those wanting to find shooting, and those wishing to offer places on shoots all over the UK. In fact so successful has it been that they now have over 70,000 individual subscribers, and over 4,000 shoots who subscribe. Of course in Edwardian times, nobody would dream of inviting or accepting a ‘stranger’ in their midst, and shooting invitations were only extended to people to whom one had been formally introduced, but in the 21st, Century there is clearly a demand from would-be game shots for places on established shots, and this has further democratised the sport. To celebrate their bicentenary, Purdey produced the ‘Bicentenary Trio’, a highly collectable set of two shotguns and one double rifle, which comes with an exquisite oak and leather travel case, modelled on one produced for King George VI. James Purdey & Sons, Gun Makers to the Royal Family, has today announced that it has successfully sold its commemorative trio which was crafted to celebrate its bicentenary year. The Purdey Bicentenary Trio is a unique and highly collectable set and consists of a 12-bore side-by-side shotgun, a 20-bore Damascus over-and-under shotgun and a .470 double rifle. Each piece in the commemorative Trio was specifically chosen as, when viewed together, they represent key milestones in the company’s 200 year history of outstanding design, innovation and craftsmanship. 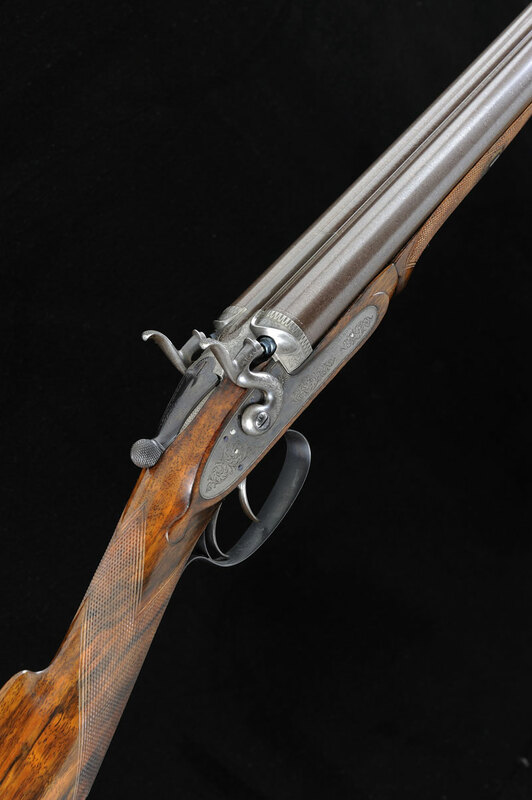 Accordingly, the shotguns and rifle all feature engraving and decorations that were typical of the era in which each model was first made, as well as the Purdey bicentenary logo and a specially allocated serial number. Following the sale, Purdey has donated £150,000, a portion of the sale proceeds, to two charities. 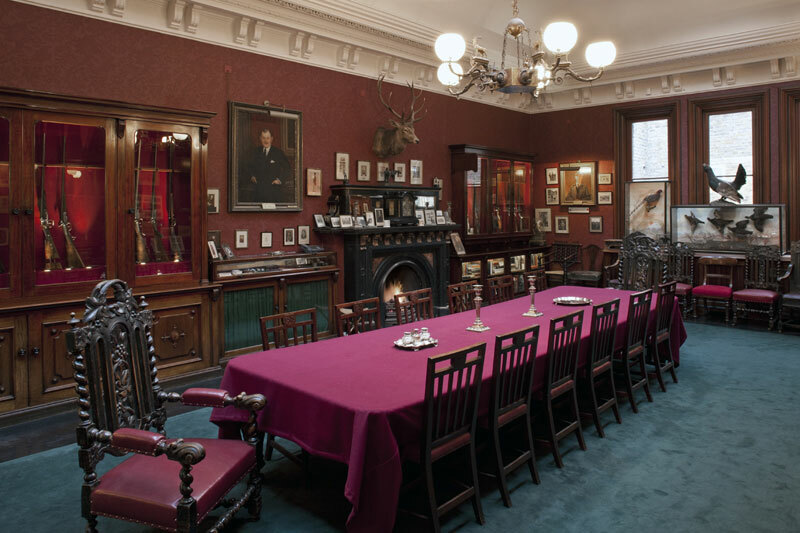 A further £75,000 has been donated to The Gunmakers’ Company Charitable Trust. This will support their 2015 fund raising appeal, the aim of which is to maintain the Trust’s provision of bursaries to members of the UK gun trade whilst contributing towards the costs of training newcomers to the industry. They also published an exclusive limited edition book, ‘200 Years of Excellence’, which is covered in beautiful goatskin with gold embossed lettering (only 200 copies have been produced; each is signed and numbered). James Purdey & Sons produced a series of commemorative, limited edition products to mark its bicentenary year in 2014, and five generations of the family have carried on this tradition of gun making excellence for 200 years — more than a century longer than other prestigious British brands such as Jaguar and Bentley, and 90 years longer than Rolls Royce. It is interesting to note that so many major British brands are now owned by foreign companies, including Jaguar/Landover by the Indian company TATA, Bentley by Volkswagen, and Rolls Royce by BMW, and all are doing extremely well as a result. Interestingly, one of the most unusual Purdey’s was not actually made by them, but was based on their specification, and was made in Russia! One of the Business members of The Vintage Magazine, is Gavin Gardiner Auctions Limited, and their auction in 2013 included an historically and internationally significant “Russian” Purdey, a unique gun that was presented to British Prime Minister Harold Macmillan by Russian President Nikita Khrushchev on the occasion of MacMillan’s Historic 1959 State Visit to Russia – one of the key points in the Cold War. Remaining in a new unfired condition and with presentation inscription in a gold plaque, the 12-bore gun that was made to Purdey specifications by the Tula State Armoury and was expected to sell for between £20,000 and £30,000. The auction took place on Wednesday April 17th 2013 at Sotheby’s, 34-35 New Bond Street, London, and it was sold via telephone bid for £21,600 to a collector. Commenting after the sale, Gavin Gardiner said: “I was extremely pleased to be asked to sell the ‘Russian Purdey’ which had such a wonderful provenance, history and was in such good, unused condition. It is of superb quality and is exquisitely finished with a presentation gold plaque set in to the stock, and it remains unused in its original presentation case. It has remained in the family ever since. “During a period of extreme tension between the East and the West, the visit was remarkable as it was the first visit of a major Western leader to the USSR since the Second World War. Harold MacMillan was committed to curbing the arms race and played a major role in negotiating the Nuclear Test Ban Treaty of 1963, the first important treaty signed between the US, USSR and Britain since the end of the war. During the course of researching this article, to my surprise I discovered that a friend of mine, Christopher Ussher, owns and regularly uses what must be one of the most prized and historically important collections of Purdey’s in existence. There are three matched guns numbered 1,2 & 3, and they were made for King George V and have the Purdey’s manufacturer’s numbers clearly visible. 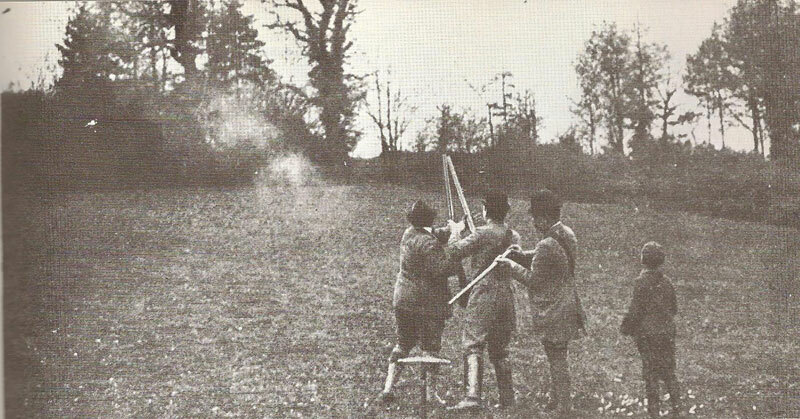 It is well-known that George V enjoyed shooting with three guns and two loaders, and there is a photograph of him in ‘The Big Shots’ using these guns, which he subsequently gave as a Wedding present to his future Son-in-Law, Viscount Harwood, who married his daughter, Princess Mary, Princess Royal who became the Countess of Harewood on her marriage. Princess Mary was the only daughter of King George V and Queen Mary, and the sixth holder of the title of Princess Royal. 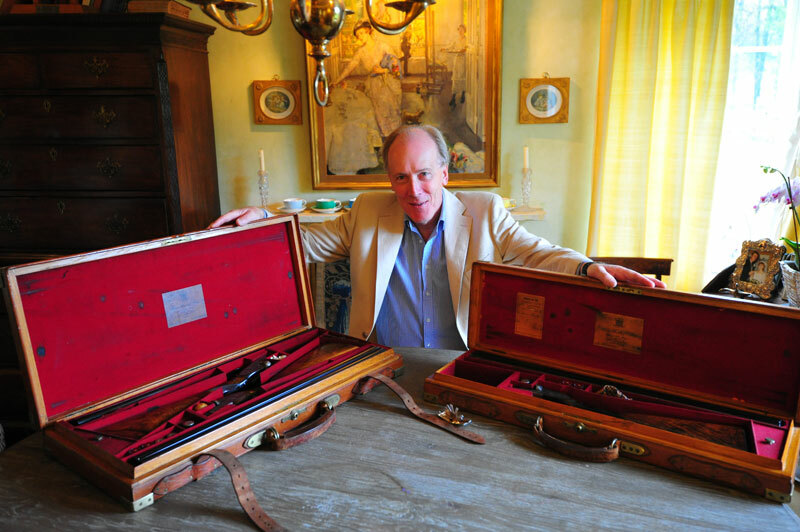 Christopher Ussher who is the Agent at Harewood and a Trustee of the Harewood Estates was bequeathed these guns on the death of the 7th Earl of Harewood who knew that they would be treasured by him and great enjoyment derived from their use. He uses them regularly, alternating them to ensure even ‘wear and tear’ and as you will see from the photographs we took of them on our way south from Alnwick Castle, they look quite splendid together and are in magnificent condition. In fact, most Purdey owners have a very special relationship with their guns, in many cases, they are inherited from family or friends, a tradition their owners are anxious to maintain. Anyway, reaching their 200th Anniversary was a great achievement for any company, and gives some indication of the quality of the product, I am sure all Purdey owners would agree that Purdey’s guns are like a bottle of superlative wine; they improve with age. “I am very excited for the future of the Purdey brand. With the continued investment in our manufacturing, this provides us with a wonderful opportunity to further grow our business in terms of gun sales, clothing and accessories. Following on from our bicentenary year we continue to remain steadfast to our core brand values of providing top in class products for authentic fieldsports participants.” James Horne. Finally, I must draw your attention to the forthcoming gun auction at Sotheby’s on 18th, April, which is one of three such auctions organised by Gavin Gardiner each year, and this one is of special interest because it contains several guns which were owned by ‘The Big Shots’, including Lord Ripon, said by some to have been the greatest game shot who over lived. GREAT SHOTS! 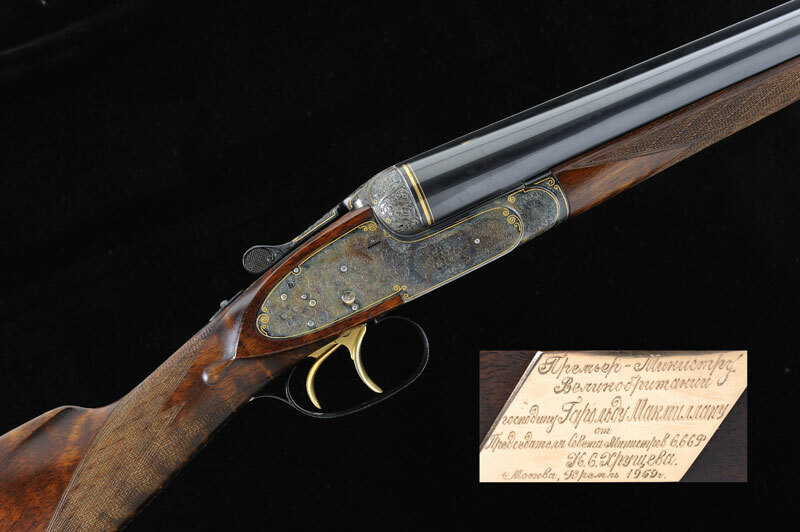 – AUCTION INCLUDES A MAJOR PRIVATE COLLECTION OF ROYAL AND NOBLE OWNED VICTORIAN SPORTING GUNS AND RIFLES. 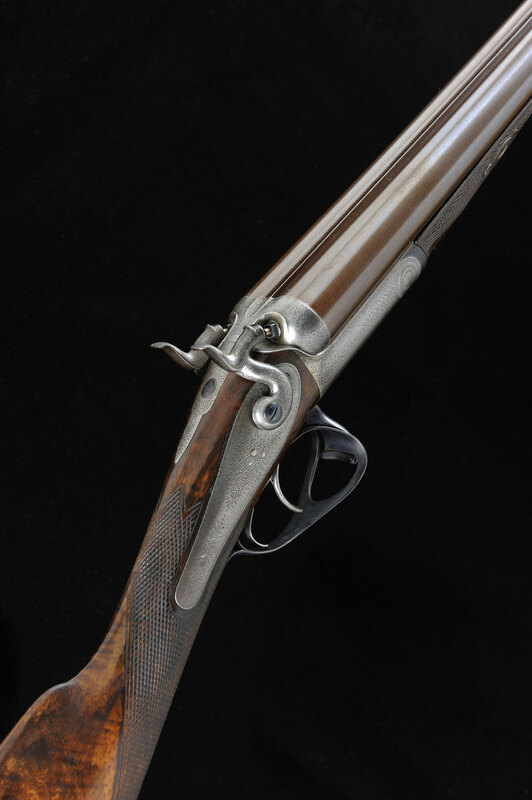 Gavin Gardiner’s April sale at Sotheby’s New Bond Street, London W1A 2AA on Wednesday, April 15, 2015 will include a major private collection of Royal and Noble owned Victorian Sporting Guns and rifles. 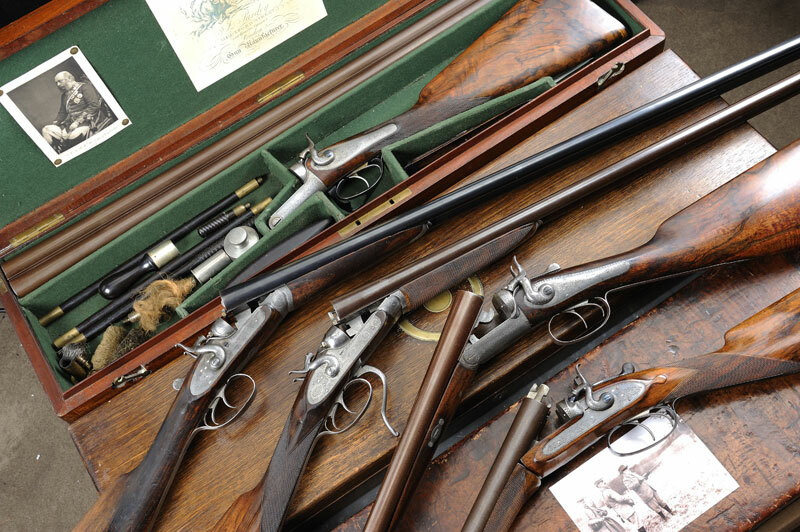 The collection comprises 15 guns built for the best known and finest shots of the Victorian age including guns for both the first and second Duke of Cambridge, a gun built for King Edward VII, two hammer Purdey’s built for shooting legend Lord Ripon, a Purdey built for Lord Walsingham as well as a pair of guns built for Prince Albert, Prince Consort, and ordered as a present from Queen Victoria. A J. Purdey & Sons 12-bore hammer gun, built in 1871 for HRH Prince George, the Duke of Cambridge – the grandson of King George III and a cousin of Queen Victoria is estimated at £5,000-£6,000 (see illustration to left), while another example by J. Purdey & Sons – 12-bore bar-in wood hammer gun, built for Lord Walsingham in 1882, one of the greatest shots of his age is expected to fetch £6,000-£8,000. Two guns by J. Purdey & Sons built for Lord Ripon, renowned as the greatest gameshot of all time include a 20-bore lever-cocking bar-in-wood hammer gun, built in 1880 (Est: £10,000-£15,000) and a 12-bore top-lever hammer gun, built in 1868 which is estimated at £6,000-£8,000. Other Royal guns include a 12-bore bar-in wood patent hammer gun, built by Westley Richards for Queen Victoria in 1869 as a present for her son, HRH the Prince of Wales, later King George VII, that carries an estimate of £10,000-£15,000 (see illustration), and a pair of 12-bore percussion hammer guns by Charles Lancaster, built for Prince Albert, Prince Consort and ordered by Queen Victoria as a present. The estimate is upon request. Gavin Gardiner says: “I am delighted to be selling this collection, which has been amassed over a lifetime’s collecting, and includes examples owned by some of the most renowned and famous shots of the golden era of game shooting. 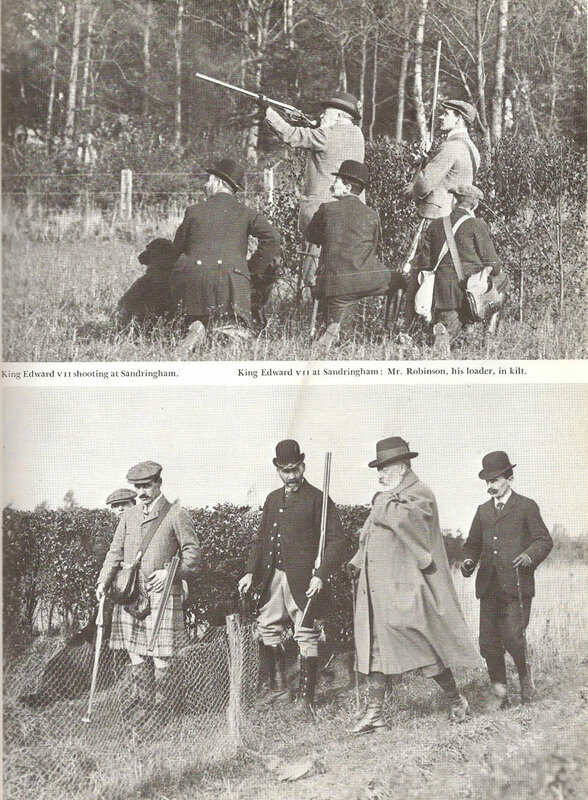 The names Ripon, Walsingham and Edward, Prince of Wales conjure up images of the legendary shooting parties of Victorian England, these shots were well known to each other, and were responsible for some of the best shooting ever seen. I am honoured to be selling such an important part of our shooting heritage.” The auction of more than 200 lots of vintage sporting guns, rifles and shooting accessories, is the only sale of Sporting Guns to be held in the heart of London’s Mayfair and will have a strong section of 12-bore Sporting Guns by England and Scotland’s finest makers as well as a good selection of accessories and more curious items. Gavin Gardiner is the only specialist firearms auctioneer holding his auctions in the heart of London’s West End, where he holds two sales each year as well as his prestigious sale at the Gleneagles Hotel, Scotland in August. Gavin has over 20 years experience in this field. Coming from a traditional background, he was brought up with guns and shooting and has been involved with the Gun Trade from an early age. He first worked for Sotheby’s in 1982 helping with weekend viewing of a Sporting Gun auction, while still at School. From that moment he was hooked and has been involved in almost every Sotheby’s Sporting Gun auction since. His passion became a full time job in 1987 when he joined Sotheby’s initially as a porter on a one day a week assignment to the Gun Department, this soon became five days and he never looked back. He has been involved with many memorable auctions over the years, including Sotheby’s sales in New York and Geneva as well as the renowned Gleneagles auction that has remained the market leader in this sector for over twenty years. He has also worked for one of the leading London gunmakers which gives him a unique perspective in this field. Returning to Head Sotheby’s Sporting Gun Department Worldwide in 2001 he doubled turnover in his first year, and has continued to develop and refine the auctions since. He left Sotheby’s at the beginning of 2006 to establish his own company. Robert was a part owner, and Managing Director of Debrett’s Peerage Limited for 12 years, during which time he took the company from a single title publisher to an international publishing group with offices in the USA, Canada, South Africa, Australia and New Zealand. 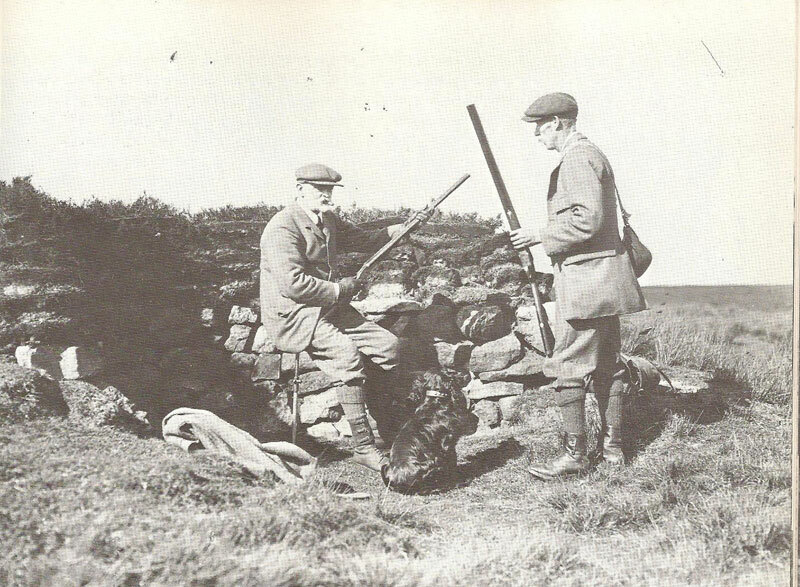 He published many books on shooting including ‘The Big Shots’ by Jonathan Ruffer, in 1977, which documented the excesses of shooting in the Edwardian era, both on and off the shooting field. The book became a bestseller, and is still in print 38 years later. Credit: The Vintage Magazine would like to thank Graham Edmunds for the images taken of Christopher Ussher and his guns.